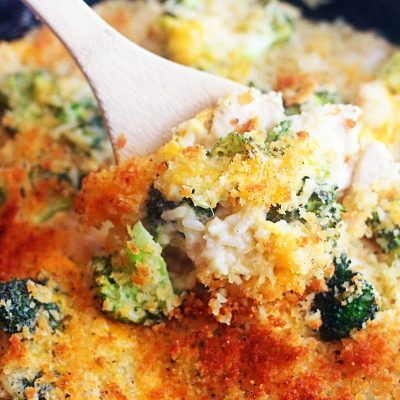 Cheesy Chicken Rice and Broccoli Skillet is a meal in one that your family will surely enjoy! 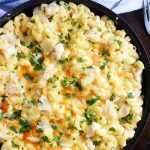 This skillet meal is the perfect thing to make when you need something quick, filling and delicious! Hi there, it’s Jodi from 5 Boys Baker and today I’m sharing a simple, delicious skillet meal with you. 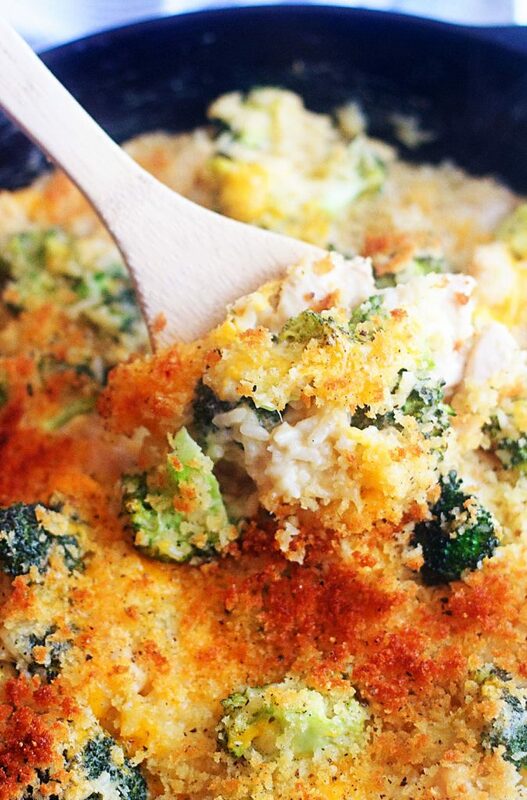 Skillet meals are one of my favorite things to make for so many reasons. 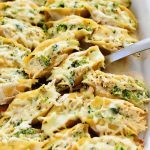 They’re quick, delicious, comforting and most of the time use only one pan. They’re my go-to meal more often than not and have been a lifesaver on many occasions. 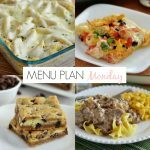 Do any of you love skillet meals as much as I do? 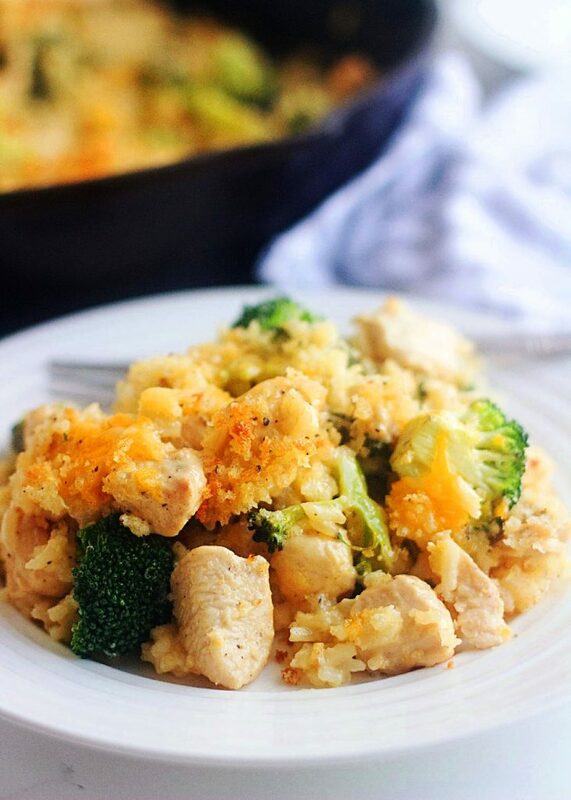 This Cheesy Chicken, Rice and Broccoli Skillet is one of those meals that is comforting, so simple to make, and is the perfect thing when you’re running short on time. It’s fast, easy, filling and delicious. Serve this with a green salad or some fruit and you’ve got a fantastic meal. In a large oven-safe skillet heat oil over medium-high heat. Add onion and cook until soft, about 5 minutes. Add garlic and cook 1 minute more. Add chicken and season with salt and pepper. Cook, stirring occasionally, until chicken is golden on the outside, about 6 minutes. Stir in rice, heavy cream, and chicken broth. Bring to a simmer over medium low heat, cover and cook until rice is tender (about 30 minutes), stirring occasionally. 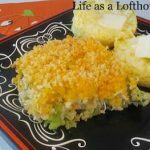 In a small bowl, mix together the bread crumbs, parmesan cheese and melted butter, set aside. 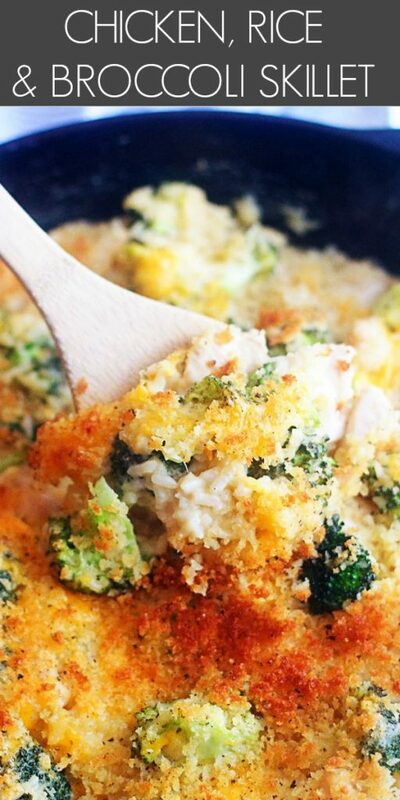 Sprinkle the remaining ½ cup grated cheese over chicken & broccoli followed by the bread crumb mixture. Broil until golden and crispy, about 2 minutes. Serve immediately.